Are you Montessori and are your teachers qualified? We are an authentic Montessori preschool. We meet all the characteristics of a true Montessori preschool. Our classrooms are stocked with the full 3-6 years Montessori curriculum materials, our programme is based on the Montessori philosophy. Our blueprint defines the key concepts, principles and practices of our preschool and is based on Montessori principles. Our lead teachers are all Montessori trained and have many years of experience. Are Montessori preschools different from each other? 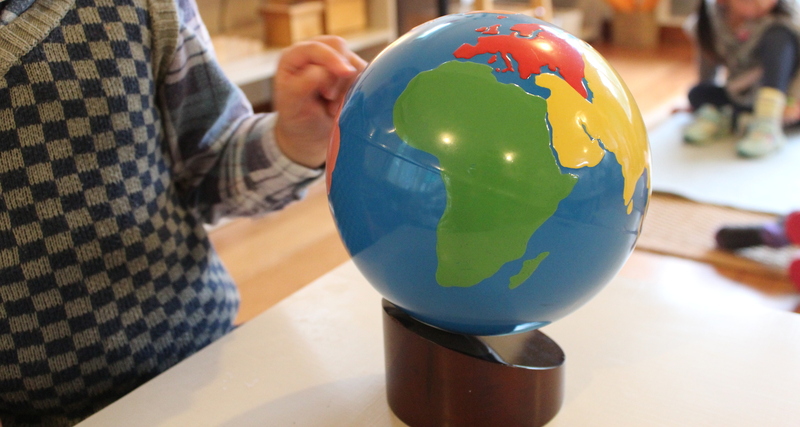 Every Montessori preschool is individually operated and therefore they are all unique. Tawa Montessori Preschool is unique in that beside the Montessori programme, we offer our own unique enviro-nature programme in a natural outdoor classroom. Montessori is not trademarked, licensed or a franchise and any preschool can call themselves Montessori, regardless if they offer a Montessori programme. It is important you visit the preschool of your choice to make sure you make an informed decision about your child’s education, one of the most important decisions you have to make as a parent. Does my child have to attend every day? The minimum attendance is five mornings or five afternoons per week. Children are more settled when they attend every day. It gives them a sense of belonging and consistency. Daily attendance also enables the children to form solid friendships. Our focus is on education, not daycare, and teachers need to be able to follow up the one to one presentations and lessons with the child on a daily basis. Is the preschool open during school holidays? We are open during the term school holidays, but closed over the Christmas holidays for three weeks. During the term breaks families pay fees on days attended only. Do Montessori children transition well into primary school? Montessori children settle well into primary school as they have established excellent work habits, and are academically well prepared. Montessori children are independent, lifelong, curious learners who have learned skills that will help them to embrace the challenge of settling into a new school and making new friendships. Can I visit the preschool to see for myself? Yes. We have an Fairtrade afternoon tea each term for past, present and future families. This is a great informal setting to meet the teachers and current families which can help you decide if we are a good fit for your family. In class visits are also available by appointment and we have regular Open Days. To find out when our next Open Day is go to the notices page. If the Open Days do not suit please contact us through the contact page to look at further options. Can I apply for a WINZ subsidy? You can apply for a WINZ subsidy as our preschool is registered with WINZ. The outcome of your application depends on your family income and circumstances. Contact WINZ for more information. Will you admit children in nappies? We are limited in the number of children in nappies we can care for. Preference will be given to children who are toilet trained. We have a nappy changing facility at the preschool and admission of children in nappies will be on a case by case basis. Is there a Montessori primary school? There is a Montessori primary classroom in Tawa (Manaaki Montessori) which we have close links to and many of our children transition there. There are also classrooms at Wilton and Berhampore. There is a full Montessori primary school in the Hutt Valley.